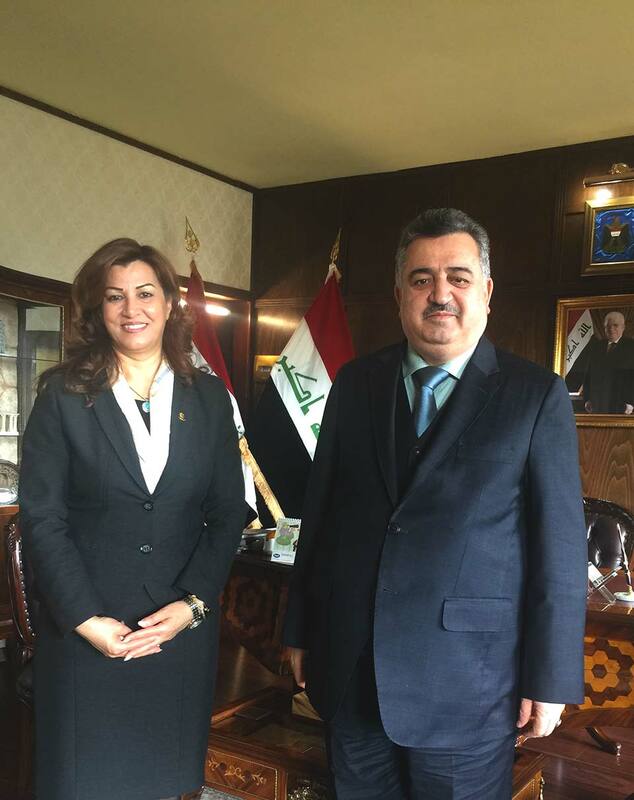 Earlier today, Mrs. Kader went to the Iraqi Embassy to the Holy See to meet the new Ambassador, Omer Berzinji which recently replaced Amb. Al Sadr , the talks focused on the current situation in Iraq and in the Kurdistan Region, the fight against ISIS terrorists and bilateral relations between Iraq, Kurdistan and the Holy See. Kader and Dr. Amb. Berzinji shared the commitment to work together to get more and more support from the international community and the Holy in order to protect Christian community on the territory of Iraq and the Kurdistan Region, as a fundamental component of Iraqi society and to develop events in close collaboration between the respective representative missions.